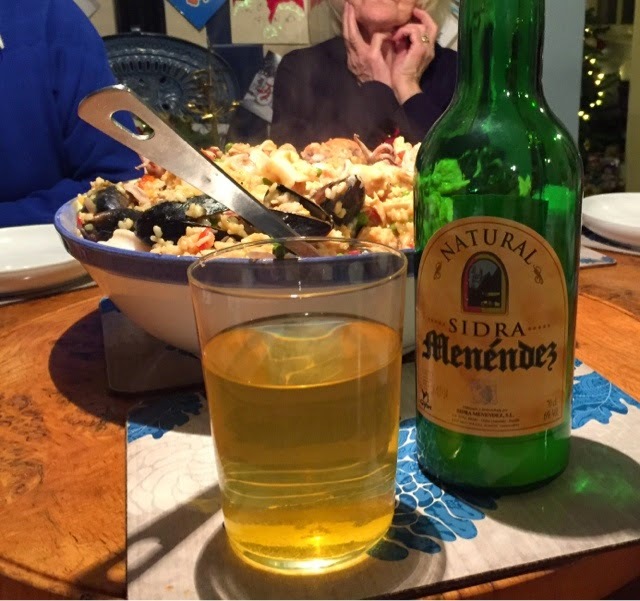 Finally last night we found an appropriate meal at an appropriate time to drink the Spanish cider that Patricia Martinez gave us all those months ago...Kerry wove her magic last night producing a magnificent Paella and we accompanied it with Cider from Asturias. Perfick ... Thanks Patricia and a Merry Christmas to all our friends and followers. Can anyone join the party? Huacayas too ?